Please try entering https://graph.facebook.com/498758560254399/photos?fields=source,link,name,images,album&limit=1000 into your URL bar and seeing if the page loads. 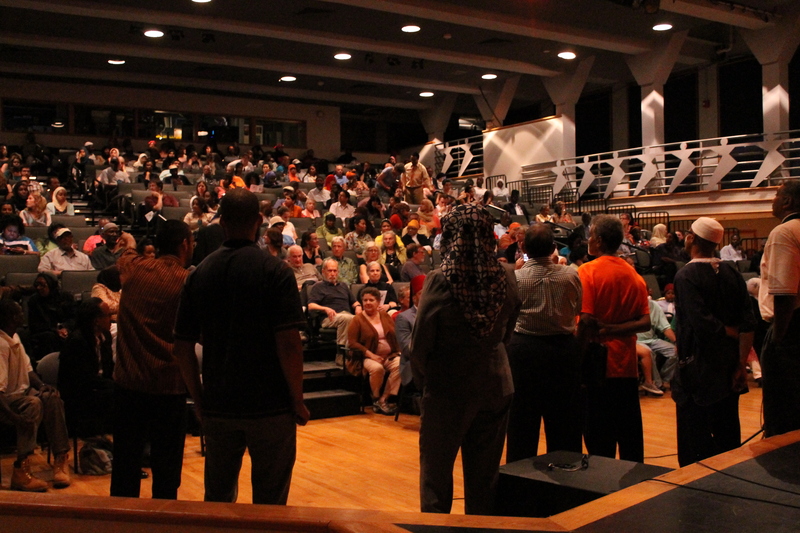 On Tuesday, June 24, 2014, Muslim Voices of Philadelphia premiered at International House Philadelphia. Following a reception for participating Muslim Voices group members and facilitators, the ticket office was flooded with hundreds eager to see the films. By the time the show started, every seat was filled, with many standing along the sides of the theater. All nine groups involved in Muslim Voices screened their work to the packed theater. At two times during the screening, we paused for question and answer with the filmmakers and facilitators. All groups members were invited to the stage to introduce themselves and their projects and respond to questions from the audience. Group members shared stories from production, discussed challenges and triumphs, and expressed appreciation for each other and the chance to dialog with diverse Muslim communities in Philadelphia. Learn more about the featured works here. After the screening, community filmmakers and guests congregated to greet each other and discuss the films. 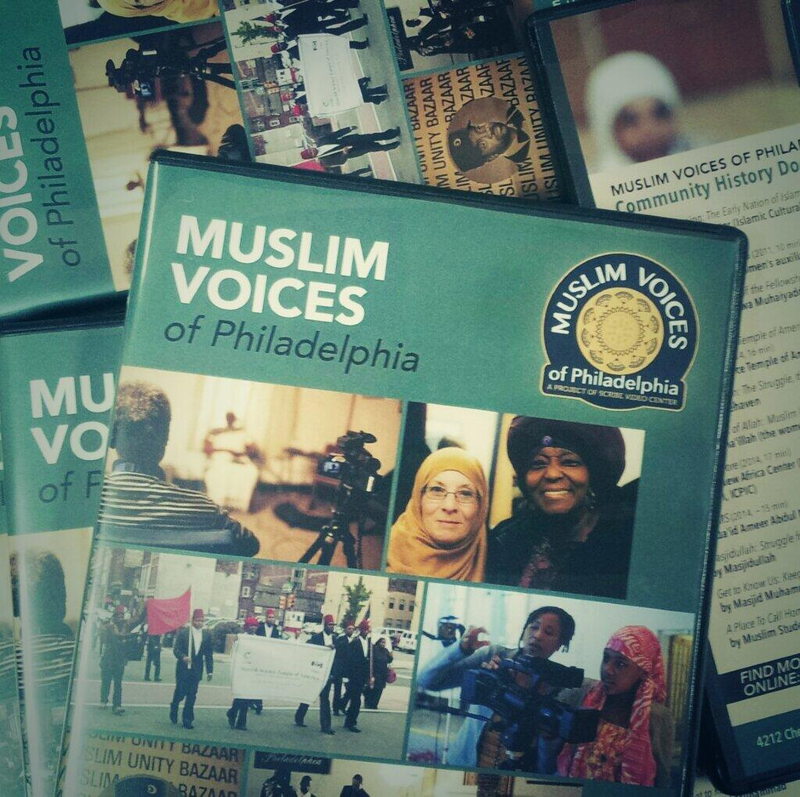 Scribe had DVD’s of Muslim Voices available to order. As groups make final adjustments on their films, Scribe is finalizing a Fall screening schedule in Philadelphia. If you missed the Premiere Screening, check back here for screening schedule information. See more photos from the Premiere Screening here. with additional support from the National Endowment for the Arts, the Nathan Cummings Foundation and the Samuel S. Fels Fund. Copyright © 2019 Muslim Voices of Philadelphia. All Rights Reserved.